Following a critically acclaimed, sold out run at Chichester Festival Theatre, Richard Eyre's sensational production of the Broadway classic The Pajama Game will transfer to the Shaftesbury Theatre in London's West End for a limited season. 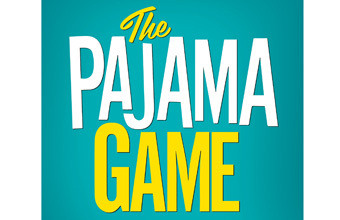 A buoyantly blissful blend of romance and comedy, The Pajama Game's golden age score includes the hit songs Hey There (You With The Stars In Your Eyes), Hernando's Hideaway and Steam Heat. In 1950s America, love is in the air at the Sleep-Tite Pajama Factory as handsome new Superintendent Sid Sorokin (Michael Xavier) falls head-over-heels for feisty Union rep Babe Williams (Joanna Riding). Sparks fly when the employees are refused a seven-and-a-half cents raise, leaving Sid and Babe deliciously at odds as the temperature rises. . . Will love, eventually, conquer all?